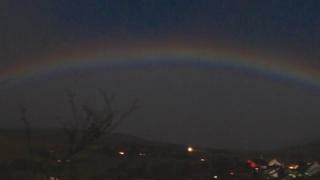 There was an extra special supermoon on the night of 20 March. 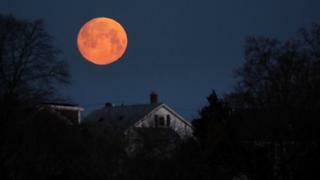 It was particularly special because it was during the Spring equinox, so the supermoon is also called a 'Super Worm Equinox Moon'. Here are some amazing photos from around the world! This snap was taken in Beijing in China. 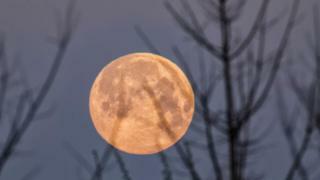 Its the first supermoon in nearly 20 years to fall near the spring equinox. The super worm equinox moon follows January's super blood wolf moon and February's super snow moon. 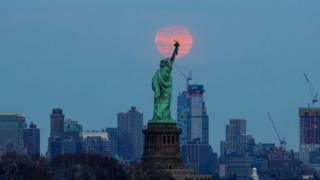 Wow, check out the large red moon shining in the sky above New York in the United States. Imagine seeing this from your bedroom window! This stunning photo was taken in Boston in the US. It's the third and last supermoon of 2019. 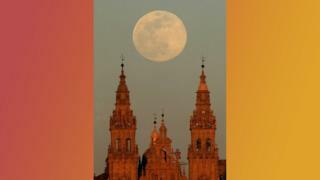 Here we have a beautiful view of the supermoon over the Santiago de Compostela cathedral in Galicia, Spain. 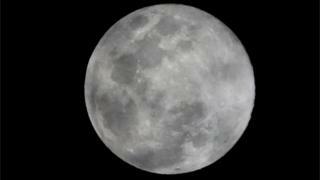 Stargazers in Mexico City were in for a treat as they got to see the moon looking beautiful, big and bright! 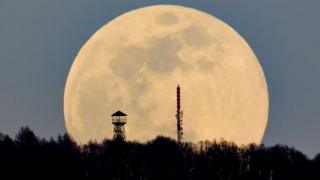 The Karancs mountain in Hungary were treated to this stunning, huge rising moon! Ever seen the moon this bright?! 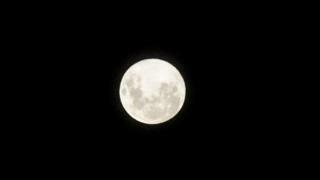 This glowing full moon was seen in Buenos Aires, Argentina.